Use with most electronic, toroidal transformers and tungsten lamps. No de-rating required. Resistive and inductive loads compatible. Integrated over-temperature protection fuse. Push on/off. Fits 25mm back box. 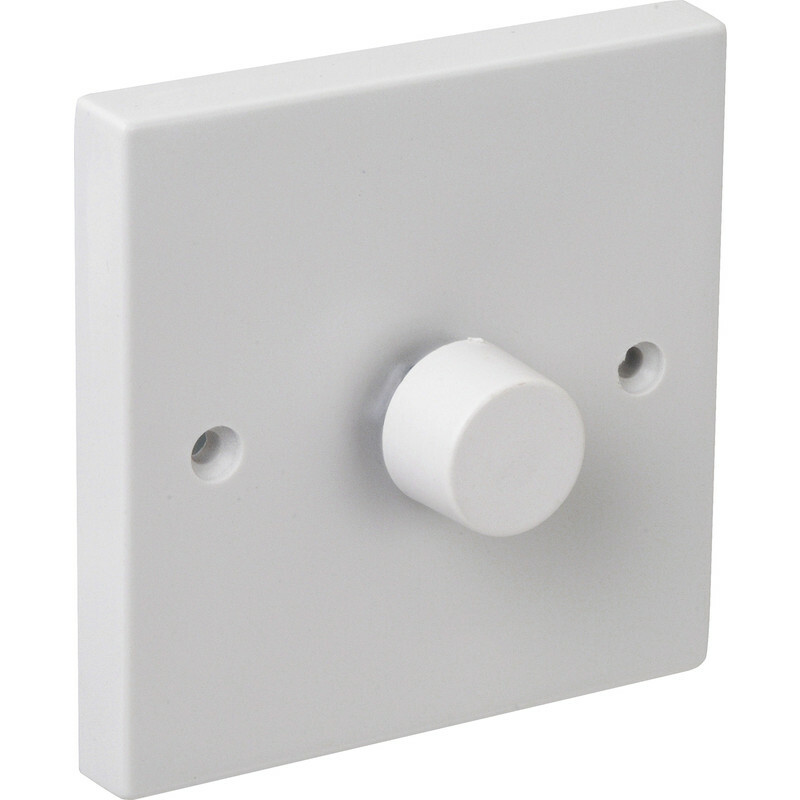 Low Voltage / Mains Dimmer Switch 1 Gang 2 Way 400W is rated 4.4 out of 5 by 8. Rated 4 out of 5 by Alasdair82 from Does the job A cheaper product not the most attractive but good value for money. Rated 2 out of 5 by Aaronimo from Not LED compatible? Probably fine with incandescent bulbs but caused (dimmable) LED to flicker and buzz like mad. Not really on in 2017. Rated 5 out of 5 by KG899 from Great spec for the price! Bought as new lights in bathroom need low voltage /mains dimmer. Good specification, Great price good value for maney. Rated 5 out of 5 by Colin mf from Dim n dimmer I bought this dimmer switch a while back, and it does what a dimmer switch does. Turn the knob and the light gets dimmer. I suppose the clue is in the name.